The location is perfect, close to everywhere I wanted to go especially for the sightseeing points, happy to walk by the beautiful duomo everyday. and all kinds restaurants are nearby so it was easy for us to find delicious meals. The area is also quiet too. Room is very big so we enjoyed the space a lot. Perfectly located in the very heart of Milan - only a minute by walk from Duomo. There is a nice Cafe next to the hotel with wide range of selection for breakfast. If you come by car, there is a public underground parking only 50 meters away. Location location location!!! So close to the Cathedral Duomo. Awesome. The staff was wonderful. I had a little bit of an issue because I was sick and they were very accommodating and helpful to me in a moment where I was alone. Absolutely fantastic location!!! Only 2 minutes walking to the Duomo, 5 minutes to Via Montenapoleone, very close to Brera and all the main attractions. The room was very clean, stylish and modern and most important it had a good vibe and lovely view! They have 24h reception, the stuff is extremely kind and willing to help. The bulding is very ok, not old and the reception area is nice and renovated. The elevator is new so no need to worry, generally everything was perfect and way better than I expected!! Highly recommend!! If I return to Milan I wouldn't even consider staying somewhere else. Great place - quiet street on the heart of Milano. Lots of cafes nearby. Great kitchenette. Quick wifi. Perfect place to stay for some days. Very spacious room. Very nice facilitties (foul kitchen, bathroom etc) very close to everything. Very nice location friendly staff. 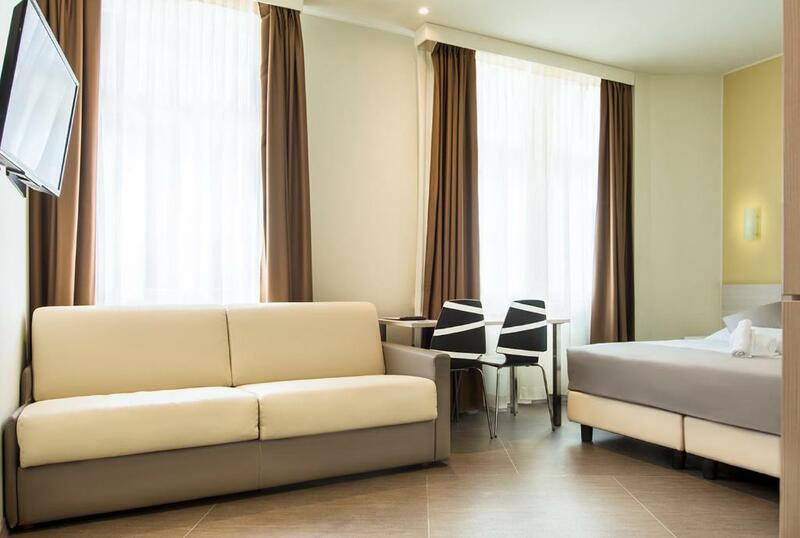 Lock in a great price for Duomo - Apartments Milano by Nomad - rated 8.8 by recent guests. One of our top picks in Milan.Boasting a central location, just 250 yards from Milan Cathedral and at the heart of the commercial and financial districts, Duomo - Apartments Enjoy Palace features modern accommodation with free WiFi. With city views, each air-conditioned unit comes with a dining area and a kitchenette complete with a microwave and refrigerator. The modern, private bathrooms offer free toiletries, soft towels and a hairdryer. 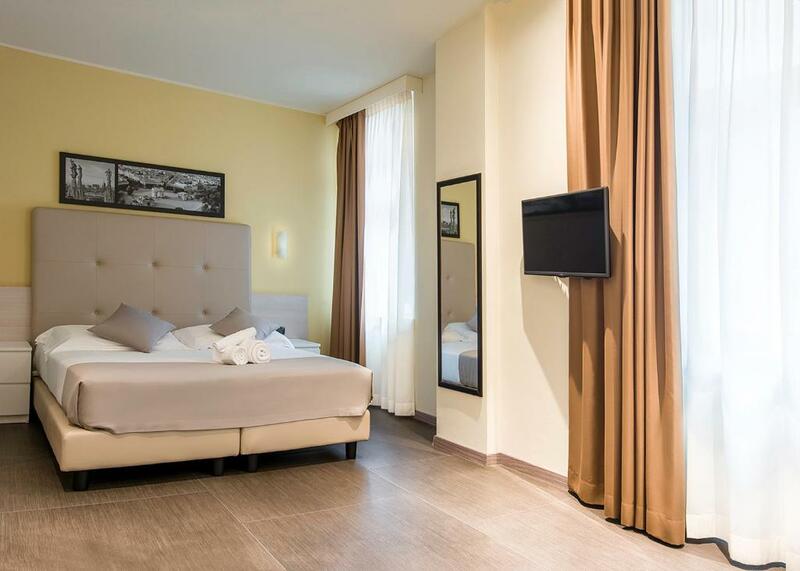 Enjoy Palace is 400 yards from La Scala theatre and a 5-minute walk from San Babila square. You can enjoy Milan's Fashion District streets, just 400 yards away. Duomo - Apartments Milano by Nomad has been welcoming Booking.com guests since 7 May 2015. When would you like to stay at Duomo - Apartments Milano by Nomad? House rules Duomo - Apartments Milano by Nomad takes special requests - add in the next step! Duomo - Apartments Milano by Nomad accepts these cards and reserves the right to temporarily hold an amount prior to arrival. The location, the security 24h ,the linen cleanness ,room tighten every day . The shower room didn’t get full glass wall cover so the water is easy to leak out of the shower area, need to be careful every time taking a shower. After the robbery that happened to our room and another room in the building, NOTHING. انسرقنا في اول يوم وصلنا فيه!!!!! 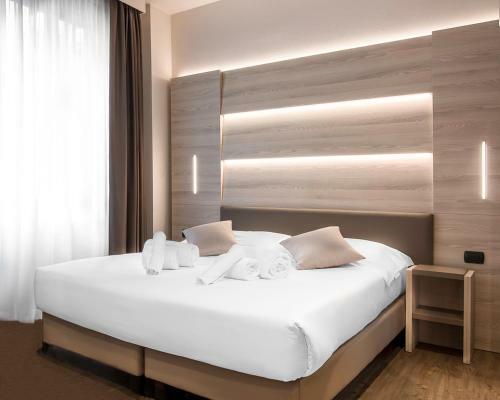 A bit pricey for an overnight stay but I guess that is last minute bookings in central Milan for you. No tea, coffee or milk in the cupboard for a cuppa after a long journey. Functionality of the room was great. Everything you could need as a family room and the kitchenette was well organised, well appointed and neatly concealed. Actual location was spot on with nearby parking and access to everything Milan. Water leaks out of the cubical when showering. Water and Coffee were not replenished despited asking many times. Sofa should be in a non-synthetic cover. The mattress on the bed was so hard. I woke up really in pain! Not great.